The Stressless E400 modular sofa with ErgoAdapt adds optimum comfort and increased flexibility to your sofa solution. The sofa has an elegant and timeless design, with tall, slim armrests. The soft back cushions are filled with a mixture of shredded foam and down, which is malleable and provides good support when sitting on the sofa. Like all down cushions these must be regularly banged/shaken into shape. Textile back cushions should be turned regularly. 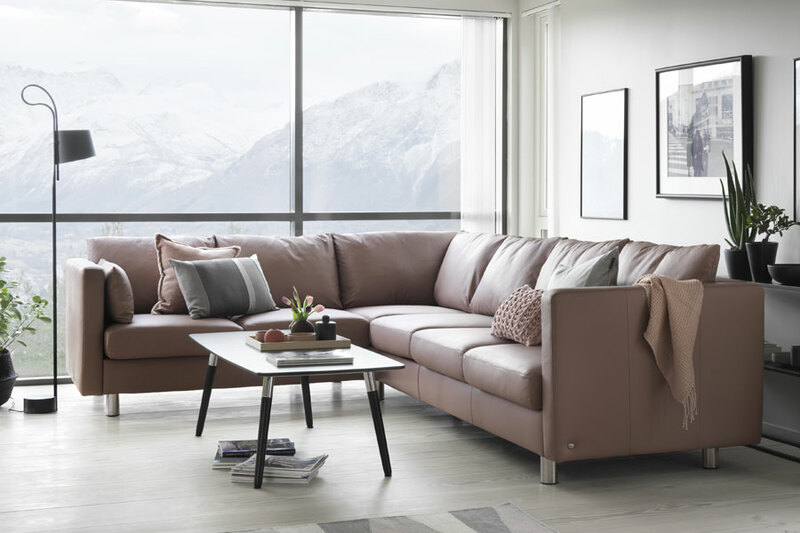 For the Stressless E400, you can choose different covers for the back cushions and the rest of the sofa, and thereby get your own combination of colours and covers in fabric and leather. You can also put together your favourite modules, so you get the optimal sofa for your home. Choose from steel or wooden legs, all available in different heights.